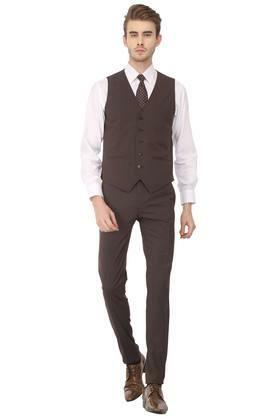 Top the fashion meter by wearing this suit brought to you by Van Heusen. It features a checked pattern that lends it a trendy look, while the button closure at the front makes it easy to wear. 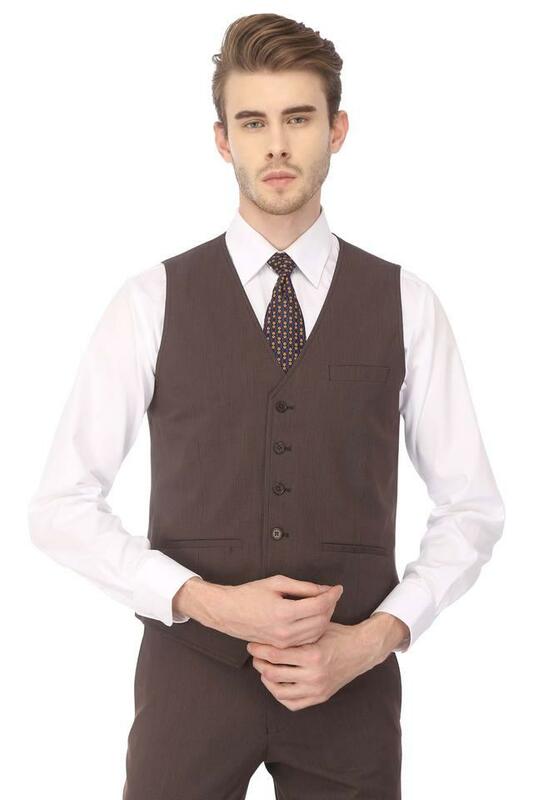 It has also been crafted from Terylene, Rayon, Elastane and Polyester fabric to ensure that you stay relaxed for a long time. 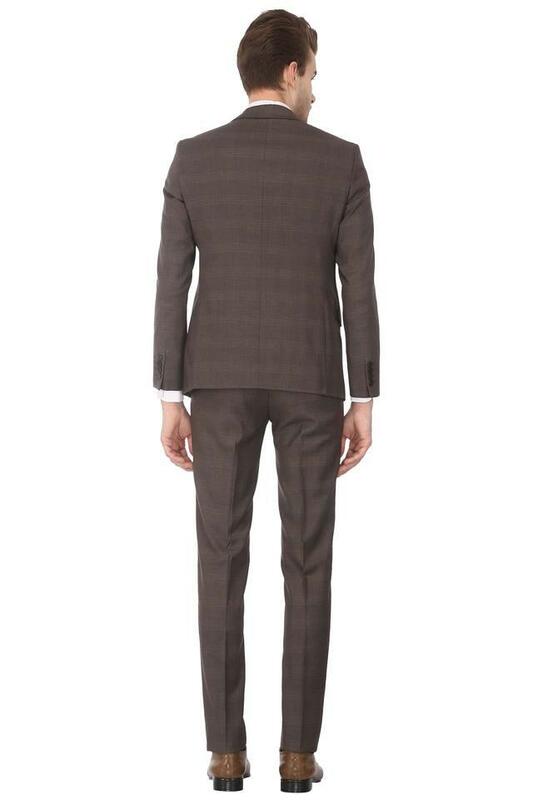 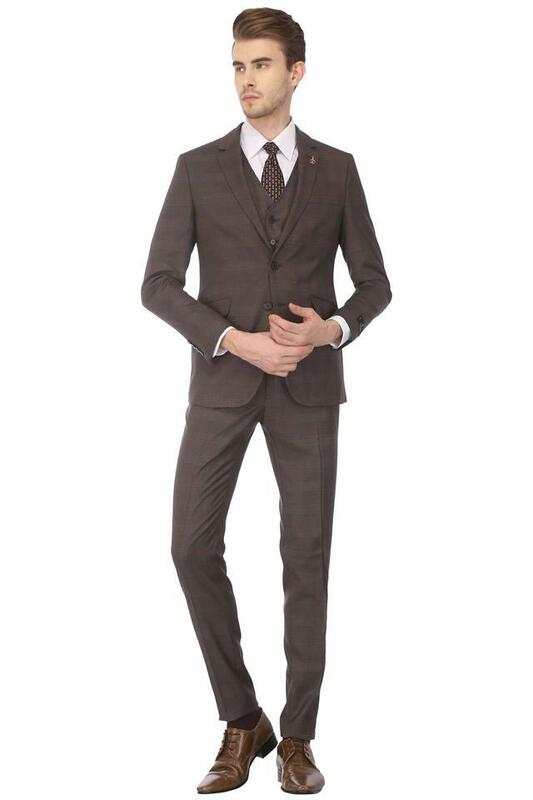 Be the center of attention by wearing this suit. 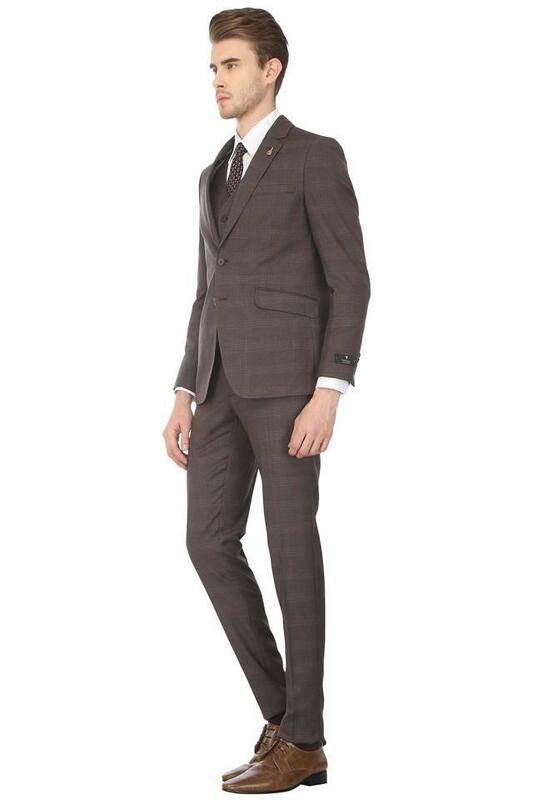 You can team it with a pair of derby shoes to walk in style.